For over 25 years our family has been blessed to provide Breckenridge Vacation Homes and Rentals for our beloved guests. We are committed to your vacation and answering any questions you have. Whether you are planning a trip for winter or summer, you will find that Majestic Breckenridge Lodging has you covered. With plenty of vacation rentals to choose from you are sure to find one that will meet your needs. We offer everything from 2 bedroom condos to 4+ bedroom homes. All of which have either their own private hot tub or access to a public hot tub. We have ski-in ski-out rentals along with in-town vacation rentals. Large 3 bed 4 bath Breckenridge condo/townhome has been completely renovated and will provide any family with utmost comfort. Offers granite countertops, stainless appliances, HDTV, travertine bathrooms with euro shower doors and a full slate main floor. Plus 3 wood burning fireplaces will warm hearts! 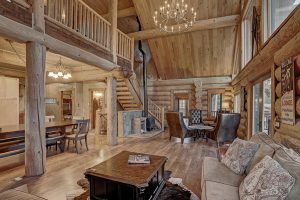 Magnificent custom crafted Breckenridge log home luxury vacation rental. Open floor plan with over 3,000 sq. ft. of living space. Offers great forest views and luxury amenities. From a 6 person Arctic spa hot tub to a heated two-car garage. You will not be disappointed with The Bear Cabin! 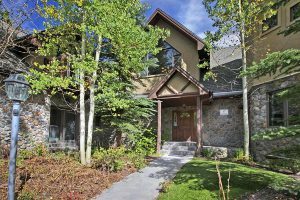 Located directly on Main Street in Breckenridge this beautiful home features luxury finishes and just like all of our other vacation rentals won't disappoint. 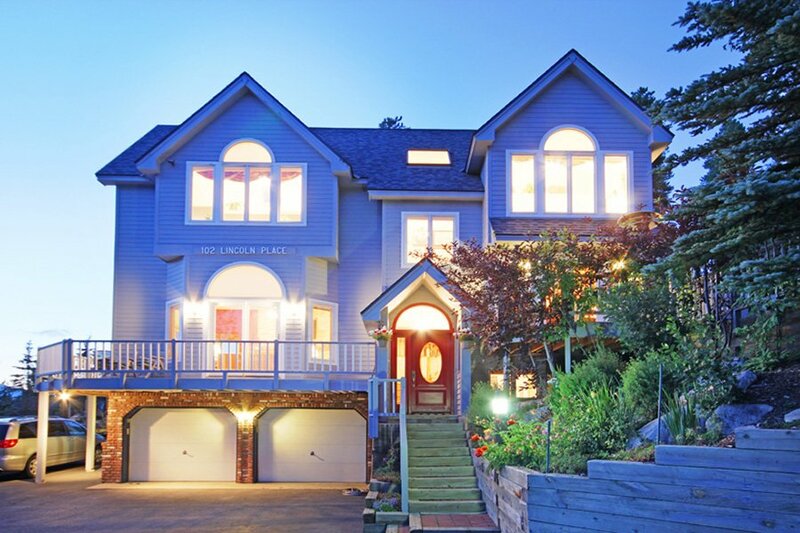 Property features a rooftop hot tub, two master suites and 3 HDTVs. 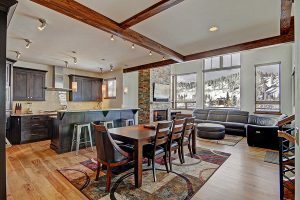 Vacation rental is within walking distance to the BreckConnect Gondola. 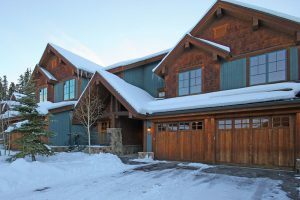 Luxury custom home located near the Gold Run Nordic Center and Breckenridge Golf Course. The Moose Crossing Lodge boasts 5 bedrooms and 3 1/2 bathrooms and is just a short 3.5 mile drive to the BreckConnect. Amenities include: private hot tub, gas grill, HDTV and 2-car heated garage. 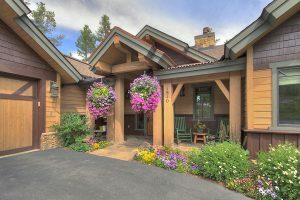 Beautiful 4 bedroom, 3 1/2 bathroom home nestled amidst the pine and aspen trees in the Breckenridge historic district. Stroll down to Main Street where you will find ample dining, shopping, and nightlife opportunities. 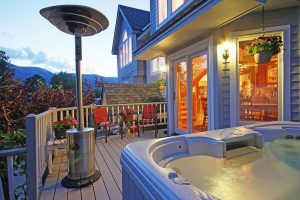 HDTV/DVD, surround sound, iPod docking, Wi-Fi, private hot tub, and gas fireplace. With just over 9,000 square feet of living space this Breckenridge vacation rental is truly a castle. The home boasts a theater room, wine cellar, sauna, game room and a full wet bar not to mention ski-in/ski-out access! Perfect for large families and group gatherings. Stunning multi-level 5 bed, 3 bath alpine home sits within the Discovery neighborhood on Peak 7, only 1.2 miles from the Independence Chair at the Peak 7 base. Located close to Downtown Breckenridge, yet still far enough away to feel the true solitude of the Colorado Rocky Mountains. 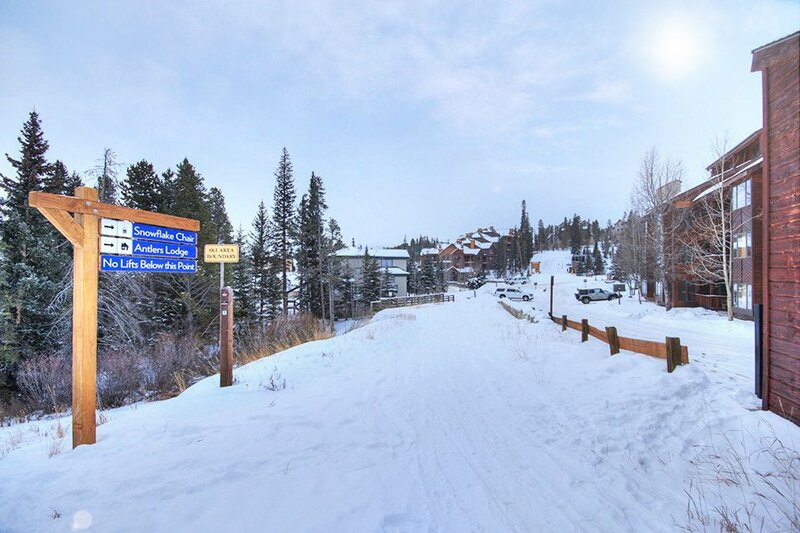 Amazing townhome at Breckenridge Gondola and just a short walk to Downtown Breckenridge. Rental includes a king master bedroom with en-suite bath, plus 2 double beds with full bath and flat screen TVs in all rooms. Guests access to the clubhouse, year-round heated swimming pool, hot tubs and more! 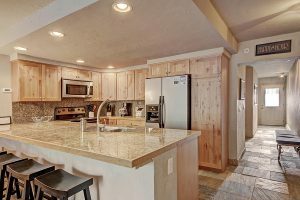 Majestic Breckenridge Lodging has proudly been serving guests and providing Breckenridge vacation homes to rent in the Breckenridge, CO area for over 25 years now. We know and understand our guests desire for that perfect trip and as such provide top-notch customer service. Whether it be for a family reunion. honeymoon, corporate retreat, or just a weekend getaway we strive to make your stay with us as pleasant as possible so you’ll keep coming back! 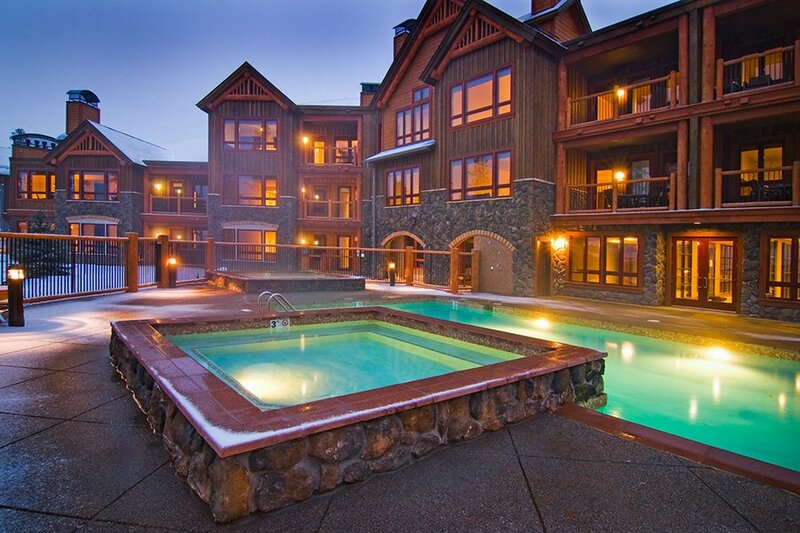 Feeling a little overwhelmed by all of the Breckenridge vacation rentals out there to choose from? Are you tired of all the endless searching, looking for that one perfect rental? Or do you have a few questions about any of our homes? Stop your search today and give us a call at (970) 406-8165. 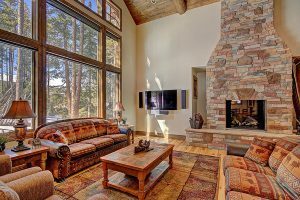 We would love to help you choose from one of our many Breckenridge vacation homes so that you can find that perfect place for your next visit to Breckenridge, CO. Attention to detail and personal customer service are just a few of the things that set us apart from the competition. Not only that, but because we are a family owned and operated business we are able to provide the same high-level of service year after year. We also take great pride in the quality of the vacation homes that we offer and have high standards and a stringent qualification process for each of the homes we list on our website.